Changing your food supply chain will have the most significant transformation effect on you and the planet. We’ll show you how. At Beach Organics we’ve always believed a healthy diet is more aligned to a traditional one ie protein derived almost entirely from plants rather than animals. Two years of research by 37 experts concluded, yet again, we require a new global agricultural revolution. To drive this agricultural model, they’ve developed the PLANETARY DIET ie half a plate of fruits, vegetables and nuts and half wholegrains and legumes with far less reliance on meat production. Intuitively, we’ve actively pursued this approach for over 35 years and established our own NASAA certified organic permaculture property near Pt Elliot. Its designed to produce in excess of 50 different herbs and vegetables every day of the year and over 60 varieties of fruits and nuts .. and a few eggs. Our 4 hectare property will be our living classroom on the day. We’ll show you how to select, plant, grow, harvest and process your own nutrient rich organic produce. 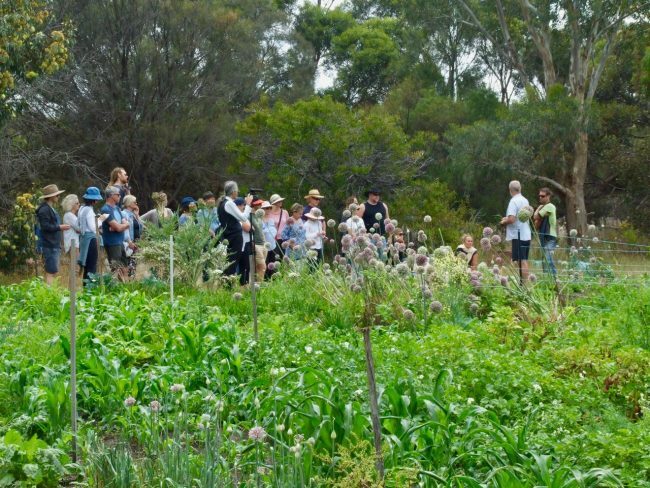 Permaculture Property Workshop – Overview. Our last two Summer workshops were booked out, however in the unlikely event we do not have enough numbers for the event to be conducted, we’ll cancel 1 week prior to the workshop. This will appear via our FB page.